One of the king’s of Ibiza’s early trance scene, Judge Jules still flits between home and ‘the island’ dropping records and exploring newcomers to a scene he helped create. These days, though, DJing’s for the weekend: he’s a specialist lawyer, too. 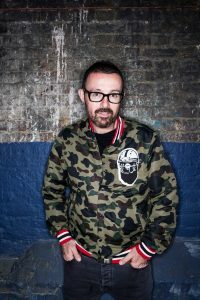 Judge Jules was always a tongue in cheek name; a nod to the trance-scene mainstay’s decision to set aside his law degree and head for the hedonism of the 90’s most notorious dance scene. These days, though, his life’s gone full circle. Listening to Jules describe his manic schedule is enough to make your average person wilt: long weeks as “probably the only person in my field with real-life experience at the top end of the music industry;” weekends on the decks. Jules spent fifteen years as one of the main DJs at Radio One, and his passion for what he does still shines, not least through his syndicated radio show Global Warm Up, now more than 700 episodes old. “The focus now is very much on the record, not the people,” he says of today’s scene. “My playlist this week is almost entirely full of people that I’d never heard of six months ago. It’s very difficult to build a career, and very difficult to find people making a lot of good records in a row.” The internet, in a sense, has handed over a kind of equality alongside the potential for viral promotion. Judge Jules plays The Button Factory on May 6 as part of Affinity’s 4th birthday party, alongside Marco V, Scot Project and Paul Denton. Tickets start at €28.